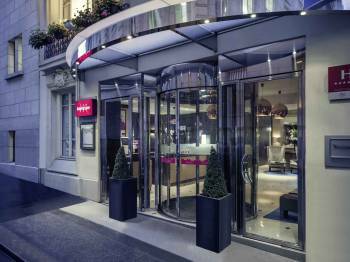 A 5-minute walk from Notre Dame Cathedral, Île de la Cité and Île Saint-Louis, opposite the Sorbonne and right in the heart of the Latin Quarter, the Mercure Paris Notre Dame Saint Germain des Prés hotel enjoys a prime location. The hotel is easy to access from the RER B, RER C or Saint-Michel and Cluny-La-Sorbonne metro stations. Enjoy a relaxing stay in one of its comfortable, contemporary, air-conditioned rooms.